The Everest Interscience 4000L WEATHER-THERM is ideal for Weather Station Applications. 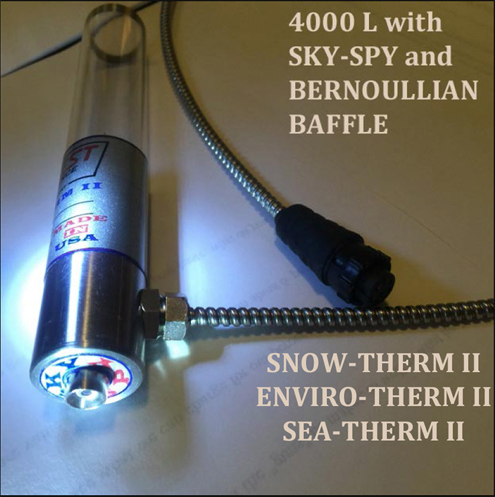 The 4000L has our Patented Sky Spy and Bernoullian Baffle. 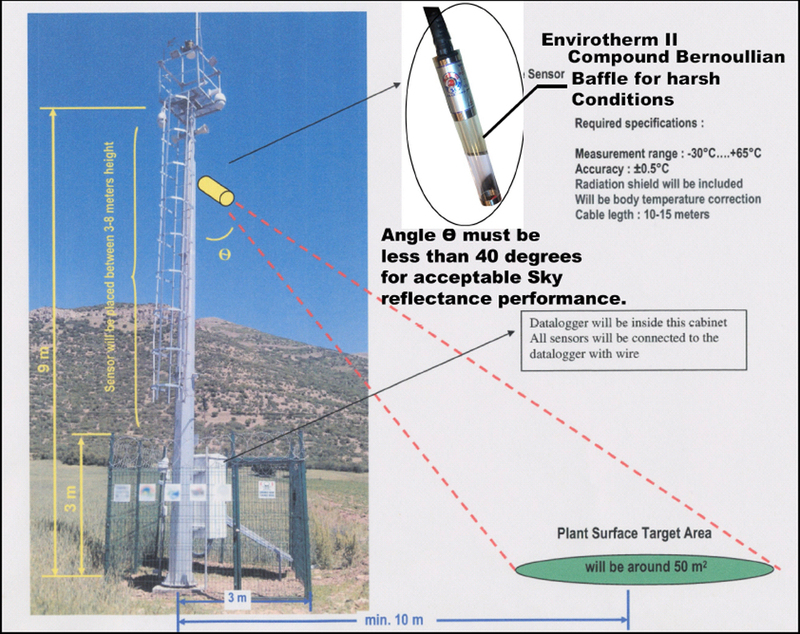 The necessary corrections needed to give the “true” temperatures and not the “apparent” temperature readings is provided by use of Everest’s “SKY-SPY” System which continually corrects for these errors, in real time, as explained in U. S. Patent No. 4,420,265. The Bernoullian Baffle utilized on the instrument to protect the lens from contaminants in "harsh environmental conditions” is a principle in hydrodynamics; the pressure in a stream of fluid is reduced, as the speed of the flow is increased at the interface between two moving masses of air, such as an aircraft wing, the slower one, exerts a pressure upon the faster moving one. I.E. 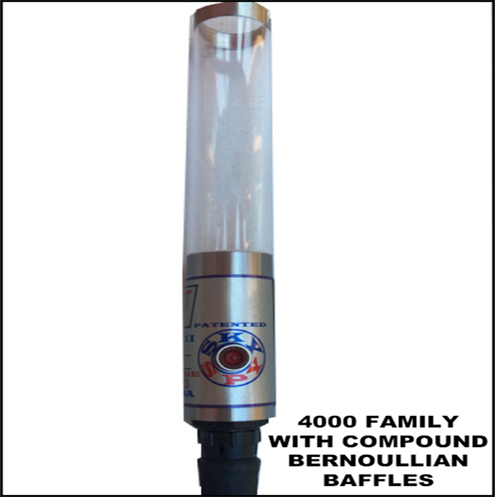 in a cylindrical baffle, the dead air within exerts a pressure on faster, dirty air without, discouraging dust, salt-spray, etc… from entering.